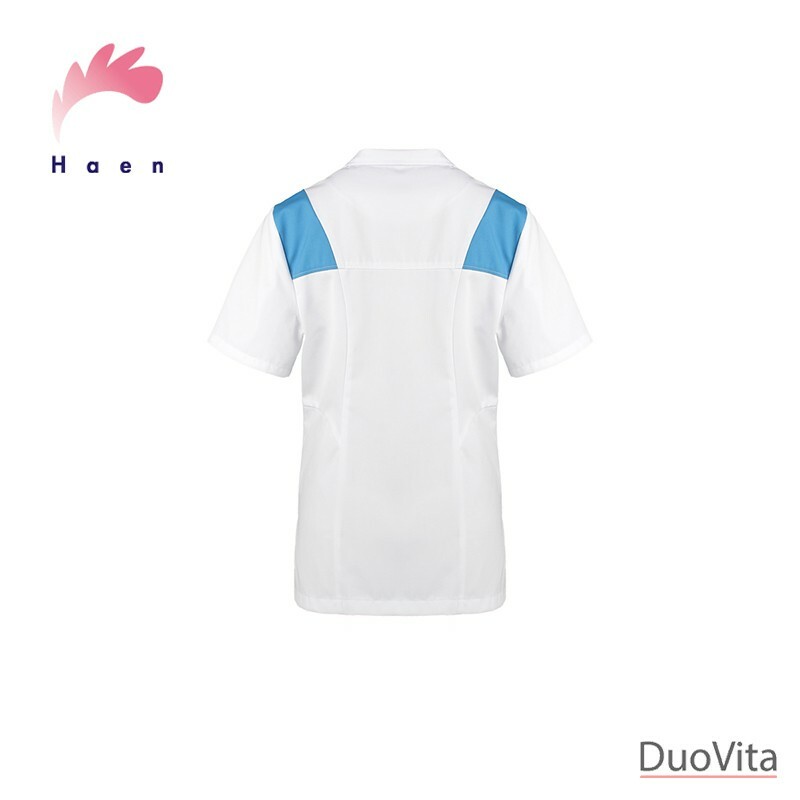 Nurse Uniform with a body hugging shape and a two-way-zip. Perfect for nurses! 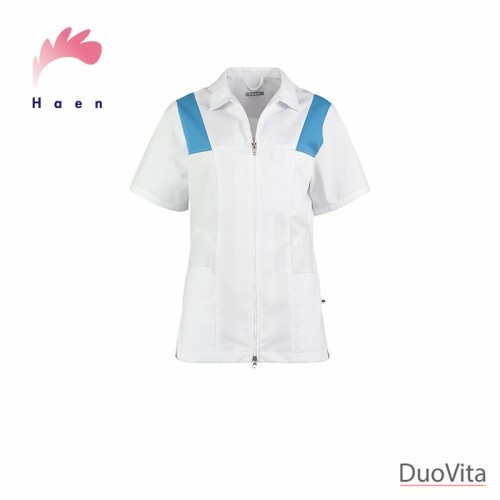 Nurse Uniform Josie has a body hugging shape and a two-way-zip. 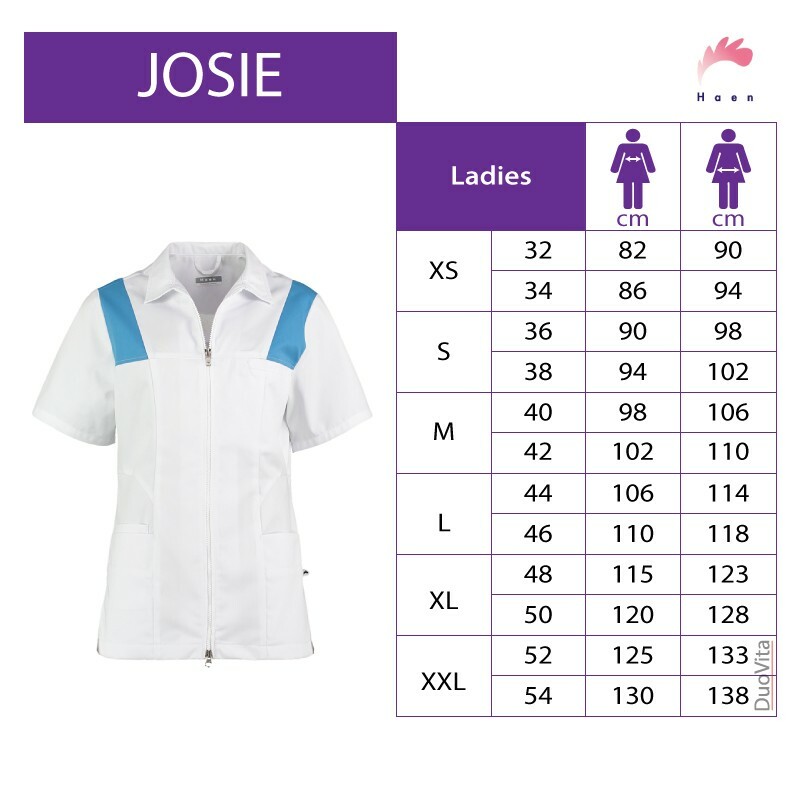 Turquoise details on the shoulders and the lapel collar make it an eye catcher during your workday. Easily store your daily, small utensils in 4 pockets. Side vents provide additional comfort and ease of movement.